1) Herbs are used as a side dish, much like we use vegetables. Baskets of fresh Sweet Basil, Mint, Parsley and Coriander are served with every meal and one of the most popular starters is flat bread, cheese, walnuts and fresh herbs. So simple but so good! 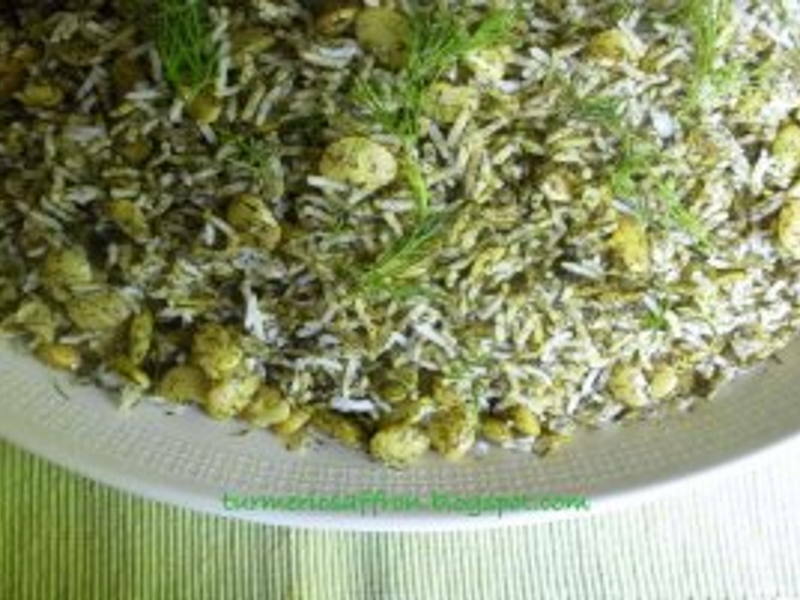 Another popular dish is Baghali Polo- rice mixed with broad beans and dill. Once again the flavours are fresh and earthy and an absolute revelation. 2) Rice is an essential part of every meal, but the Iranians have turned rice cooking into an art form. Every grain is steamed to perfection and a fifth of the pot is mixed with Saffron to create decorative golden patterns throughout the dish. Then the bottom layer of rice is crisped until golden. The crispy layer is then portioned out to every plate and covered in gravy. Who knew good old fashioned rice could be this stylish! 3) Iranians love sweet and sour flavours. 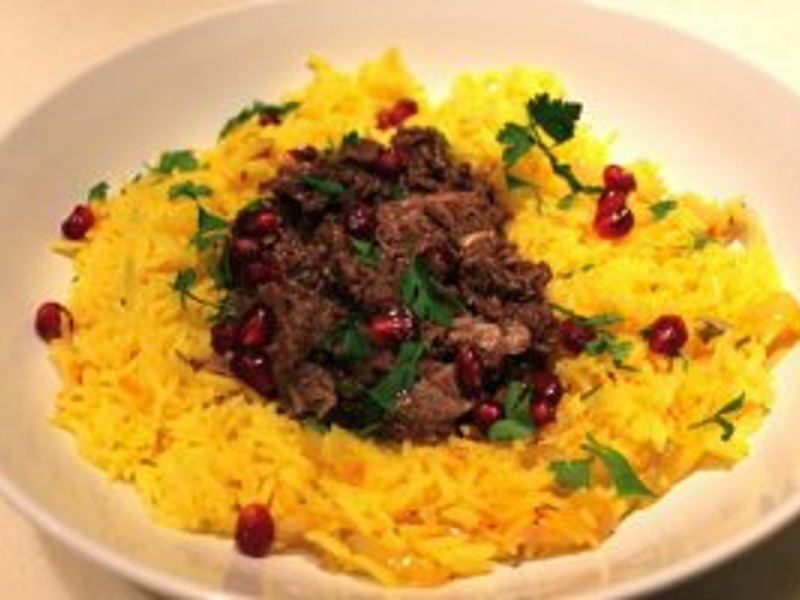 Fesenjan is a chicken stew that combines pomegranate juice with walnuts. And Ghormeh Sabzi is a lamb stew that makes use of a combination of herbs and a sharp sting of lime. Fruits, nuts and herbs feature strongly in Persian cuisine and the flavours are always complex and intense. 4) A lot of the food is very hands on. 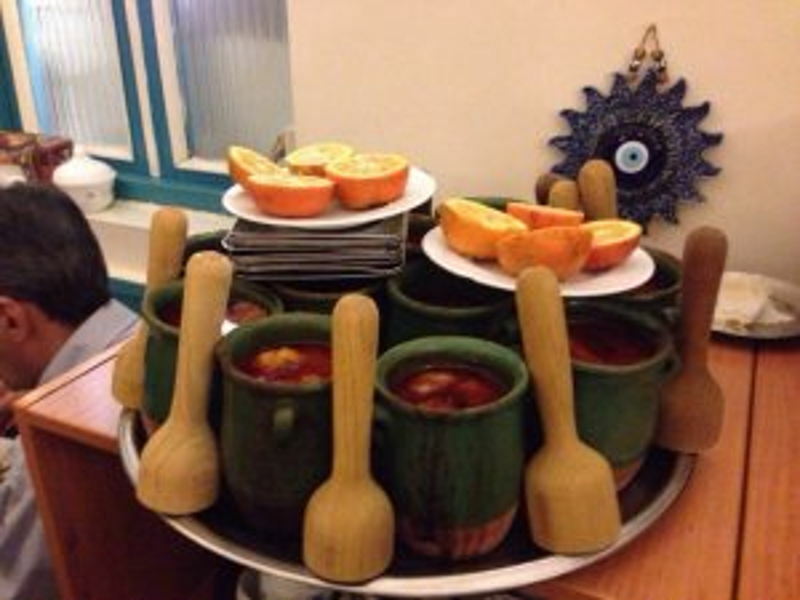 Abgoosht is a delicacy that is delicious and fun. You are served flat bread and a pot of thick, soupy stew. First you tear up your bread and place it in a bowl, then you pour the liquid from the stew over the bread and eat it. Then you use a pestle to mash the stew until it is a meaty past. Squeeze the juice of an L'orange (a cross between a lemon and an orange) over your meat, wrap it up in some bread with fresh herbs, and you are in Persian food heaven. 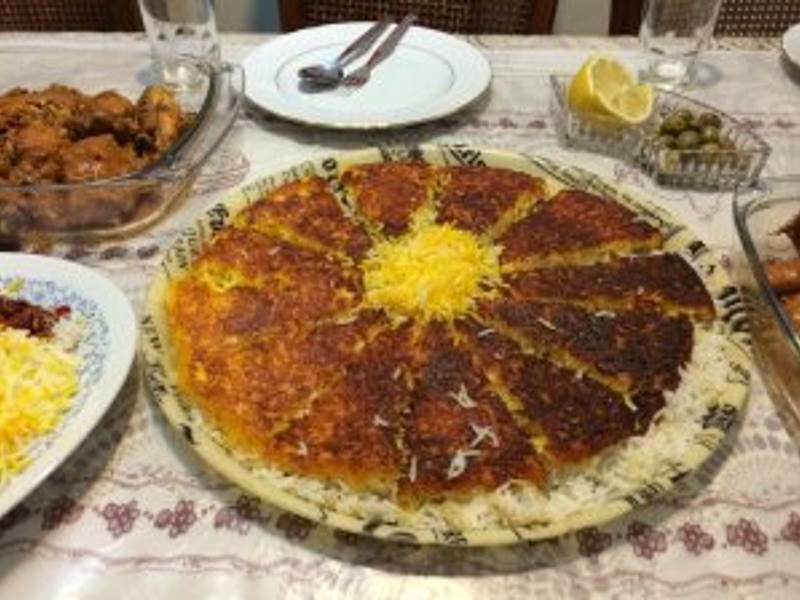 Another fun dish is the Isfahani speciality- Biryani. A piece of flat bread is soaked with a meaty gravy, then a patty of fresh, soft meat is laid in the centre and minced offal placed on the side. To eat it you have to tear off bits of bread dripping in juice, and use them to create sumptuous meat and herb wraps. 5) Finally one of my absolute favourites is Saffron Ice –Cream with pistachio nuts and cream. The cream is not simply spray canned on top, oh no. Instead a thin layer of cream is poured into trays and frozen. 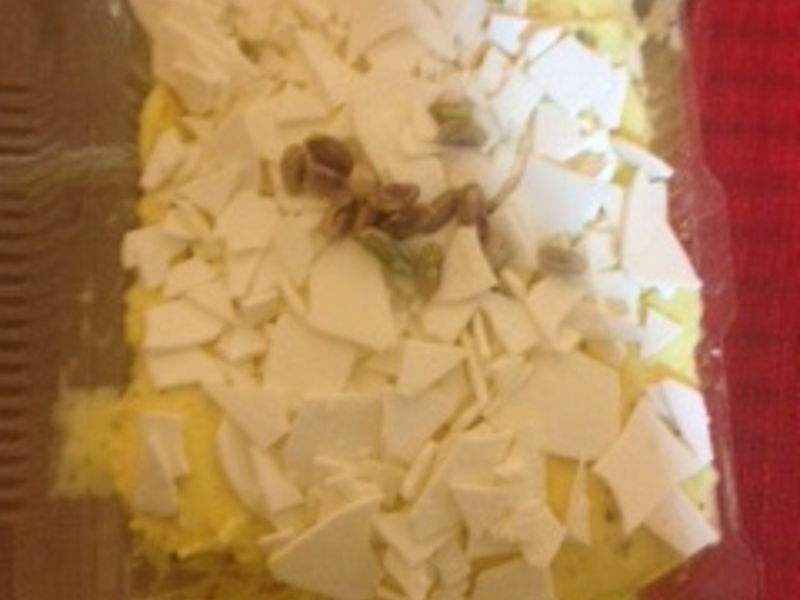 The cream is then broken into bits and sprinkled over the ice cream. The result: chunks of solid cream with every mouthful. And Heston thought he invented kitchen chemistry!